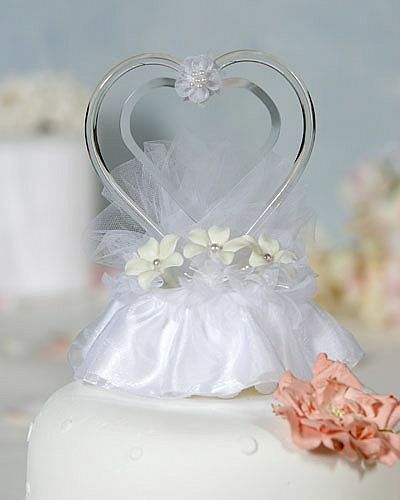 This beautiful cake topper features a glass engravable heart and handmade porcelain stephanotis accented with pearls. Artisan made glass heart. 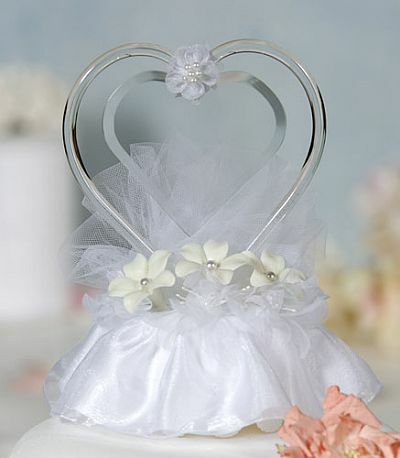 Skirt is made of organza. Engraving not included.